Whether you are a teacher or a pharmacist, it is important to know ahead of time if your state board will accept your CPR certification! As a member of the compliance team here at ProTrainings, it’s my job to reach out to state boards to seek approval for our courses. 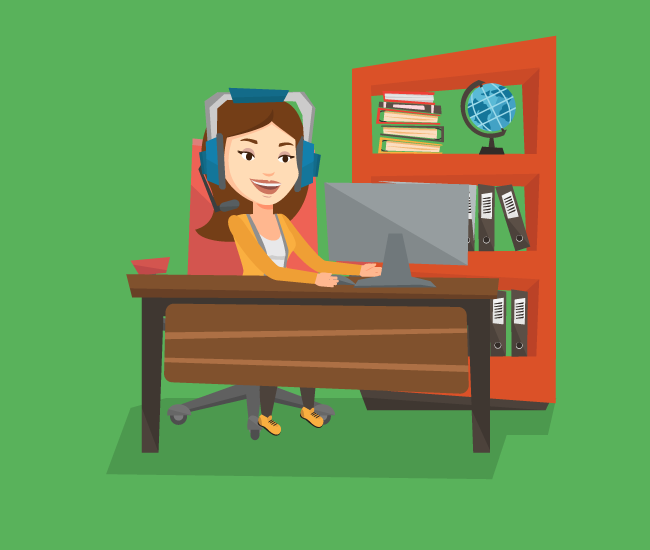 In this article, I will share what I know about the CPR course approval process and how you can be confident that you’ve chosen an acceptable online course. Sometimes state boards approve or accept courses and sometimes it’s up to the employer to decide what to accept. In the United States, there is no overarching accrediting body for CPR so state acceptance may vary. Keep reading and we’ll dive into how CPR approvals work. Research state regulations and CPR guidelines. Most of the time we can find a particular state board’s regulations and guidelines through their website. We pull all of this information and read through it carefully to see if they have a current approved provider list or if they have general CPR guidelines that ProTrainings already meets and exceeds. Finding the correct contact can be daunting, but once we are in touch with the correct person the real work begins. We find out if there is an approval process and then submit our curriculum for review. Submit requested CPR course materials. Next we submit our curriculum, tests, student and instructor handbooks, sample copies of our certifications, and any other requested materials to the reviewing board. Some states require that a fee is paid as well. The fees can range from $10 to $100’s. Course approval can take a long time. The approval process can take months, sometimes years. Our curriculum is reviewed and scrutinized. The board may reach out with specific questions or additional requirements that they have. Follow up and approval results. During the whole process, one of our compliance team members will reach out to follow up on the progress of the review. Once the review is complete the board will advise us of the results. Favorable outcomes include approval, with an addition to an approved provider list, or acceptance because ProTrainings has been deemed to meet the guidelines set forth by the state. After we have contacted the board and gone through the approval process (if any), we expect to hear back from them with one of four possible outcomes. In this case, we have gone through the review process where applicable and we are confident that the ProTrainings certification will be accepted by the board. When a course is approved like this, it is typically added to an official list of approved courses. When the board denies our request for approval, this means they have chosen not to accept the ProTrainings certification. The reason for this is often that current guidelines only allow for certain providers to be accepted. In many cases, the response we receive from a board is that they do not review training and that ProTrainings certifications meet with their established guidelines. In this case, we are confident that our certifications will be accepted. Course approvals take time. We will often hear back from a board with the update that they are still in the review process. In this case, we can not guarantee our acceptance until the review is complete. Which state licensing boards accept online CPR? Most boards will require a blended training. 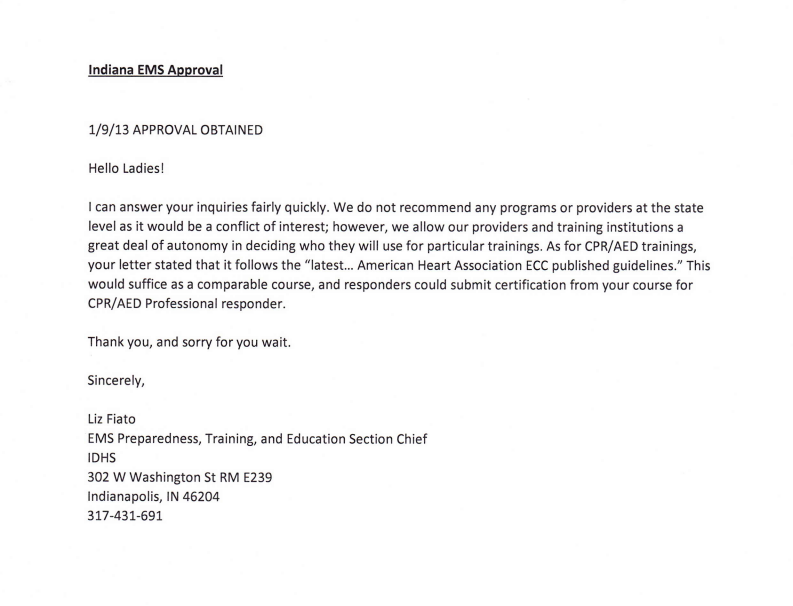 ProTrainings is accepted by almost all 50 state EMS departments but every one of them requires a blended course. A few examples of boards that allow for online-only training are Alabama Board of Occupational Therapy, California Board of Chiropractic Examiners, Georgia Board of Massage Therapists, and Kentucky Board of Pharmacy, to name a few. 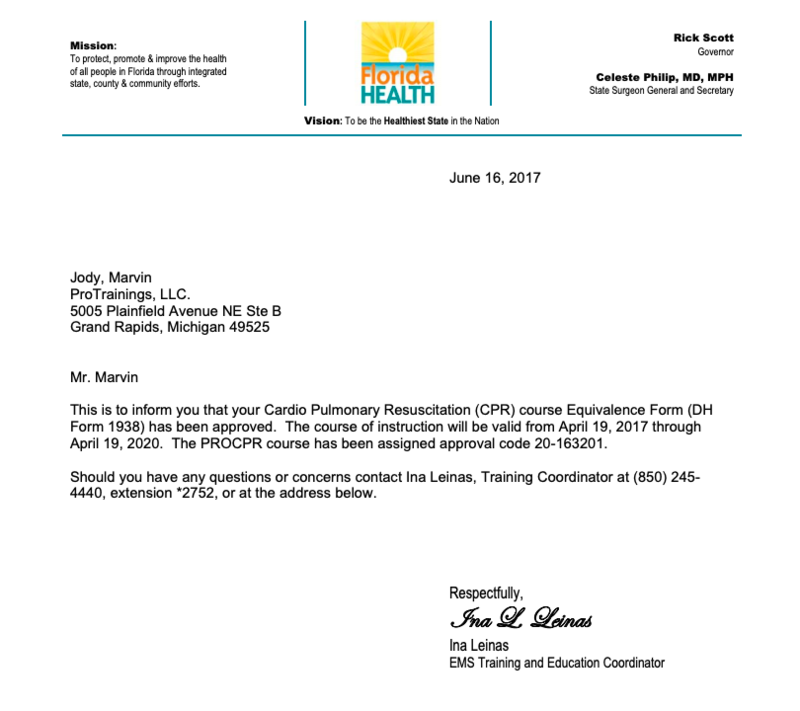 Sometimes the state board does not make a decision on CPR certification and in this case, they will state that CPR Certification is at the discretion of the employer. This is often the case for nursing boards, physical therapy boards, and many state boards of education. If this is the case we will state on our acceptance page that the board defers to the individual district or employer. What does it take for an online CPR course to be approved? ProTrainings courses follow all of the latest ECC/ILCOR AHA Guidelines. We have both blended and online CPR approvals and our curriculum is developed and overseen by certified instructors and paramedics. However, sometimes it’s not the quality of training that dictates acceptance. In fact, most hospitals will not accept Red Cross or American Health and Safety Institute CPR. In these cases, the employer is simply brand loyal to the program of their choice. It does not reflect on the quality of the training itself but rather on the policy of the employer. When choosing a CPR certification online course, compliance is key. Make sure you choose a provider such as ProTrainings that meets and exceeds the latest national guidelines. Choosing a compliant course will save you time and money in the end. Be sure to do your research and be confident that the provider you choose has undergone the review process when necessary and has a compliance team that can support you should you have questions. A good rule of thumb is that if you can not reach out to a real person, you should probably pass on the training. Lastly, make sure that a blended course is offered. While there are some boards that will accept online-only training, it’s more likely that a blended course will be the requirement. ProTrainings would be happy to help you choose the right course. Please reach out to us at 888-406-7487 if you have any questions!